Smith (left) and Manning are charged with robbing a man on Boystown's Halsted Strip this week. 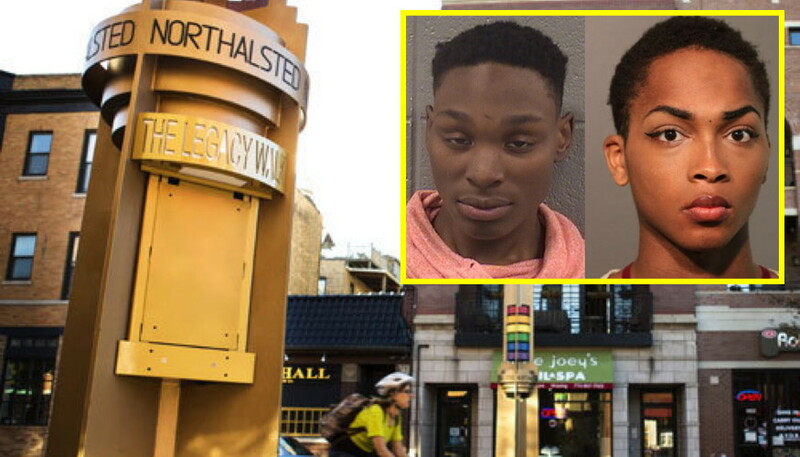 Two men are accused of robbing a man on Halsted Street Wednesday, part of a three-hour stretch of general mayhem along the Boystown Strip that CWB Chicago told you about on Thursday. 22-year-old Edward Smith and 20-year-old Kenneth Manning are both charged with robbery, according to court records. Smith currently lists a South Shore address, but on two previous arrests over the past year he gave his home as the Center on Halsted, 3656 North Halsted. Manning lists the Howard Brown Health Center in Uptown as his home address. 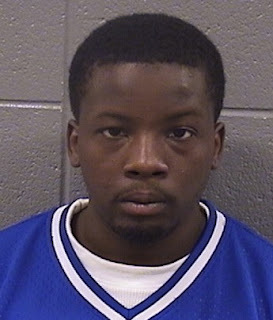 A 25-year-old man told police that he was walking along Halsted when Manning and Smith pushed him into an alley and robbed him around 3 a.m., prosecutors said. The victim immediately reported the incident to passing police officers near Halsted and Roscoe. Other officers detained Smith and Manning moments later near Halsted and Belmont. A judge set bail for Smith at $100,000. Manning is free on electronic monitoring. The robbery was one of several incidents, including a series of street fights, that broke out along Halsted Street late Tuesday night and early Wednesday. For the second time in two weeks, a passer-by’s report of suspicious activity near ATMs has led police to make an arrest in Boystown. Cops raced to the MB Bank at 3179 North Clark early on May 7 after a witness thought he saw a group of men robbing someone at the bank’s ATM. While no robbery victim was found at the bank, two men suspected of using an earlier robbery victim’s credit cards were taken into custody. Timothy King, 25, and Jonathan Stokes, 22, were charged with theft or lost or mislaid property. A similar call from a concerned citizen resulted in another man being arrested early last Saturday—and, against all odds, the suspect lives on the same block as King and Stokes. Police went to another the Chase Bank at 3714 North Broadway around 2:20 a.m. after a 911 caller reported seeing a man repeatedly withdrawing money at the bank’s ATM while another man stood nearby—an apparent robbery attempt. At the bank, cops encountered a Lakeview man who reported that 21-year-old Deondre Williams had taken his wallet and cell phone and then started using his debit and credit cards to withdraw $700 cash in three separate transactions, police said. Cops found a zip bag containing cocaine in Williams’ possession during a custodial search, prosecutors said. He’s charged with theft of lost or mislaid property and possession of cocaine. King, Stokes, and Williams all live in the 7300 block of South Shore Drive, according to police records.